Since its 2006 launch, the mission has studies Pluto, its five moons & hundreds of Kuiper Belt objects. After studying a space rock some 6.4 billion kilometers from Earth, NASA’s New Horizons spacecraft set off on a new hunt for moons in the solar system’s most distant edge, searching for clues on our solar family’s creation, scientists said on Thursday. “If we’ve seen bodies one and two, the question is what about bodies three, four and five?” Mark Showalter, a New Horizons investigator, said during a news conference at the Johns Hopkins Applied Physics Laboratory in Maryland. 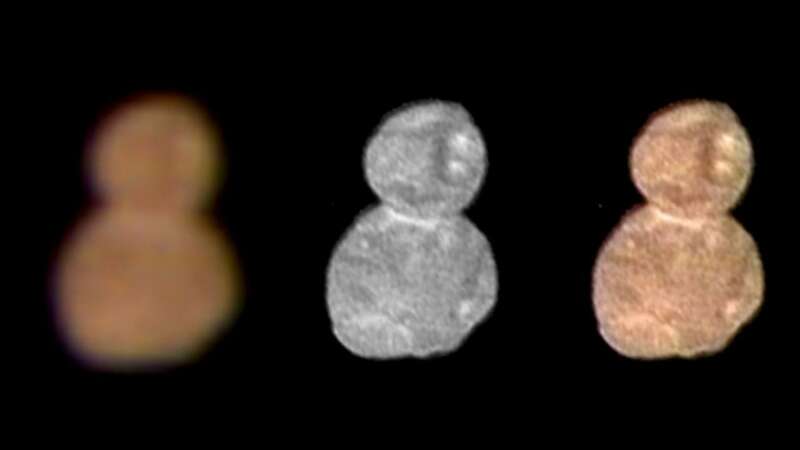 New Horizons on New Year’s day came within 3,500 km of Ultima Thule, which represents a pristine time capsule dating to the birth of the solar system. The fly-by marked the farthest close encounter of an object within our solar system. 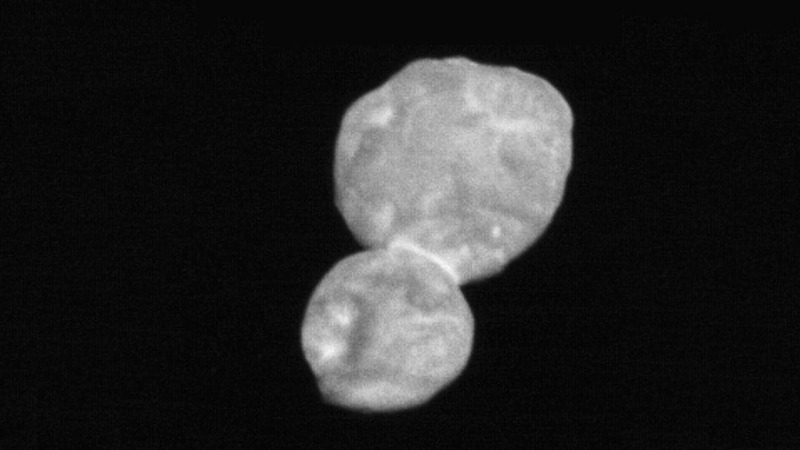 Since then, the probe has sent images revealing Ultima Thule to be a “contact binary” — two bodies that formed separately and then got stuck together. The formation, resembling a red-hued snowman — caused by irradiated ice — is just over 34 km long. Scientists deduced that the conjoined bodies — one named Ultima and the other Thule — were once part of a cloud of smaller, rotating space rocks that eventually bound together into two larger bodies orbiting at a much slower speed. “We’re looking for the objects that put the brakes on these objects,” Showalter said. Finding the moons, which would orbit Ultima Thule up to 800 km from its surface, would also reveal details about the space rock’s mass and density. 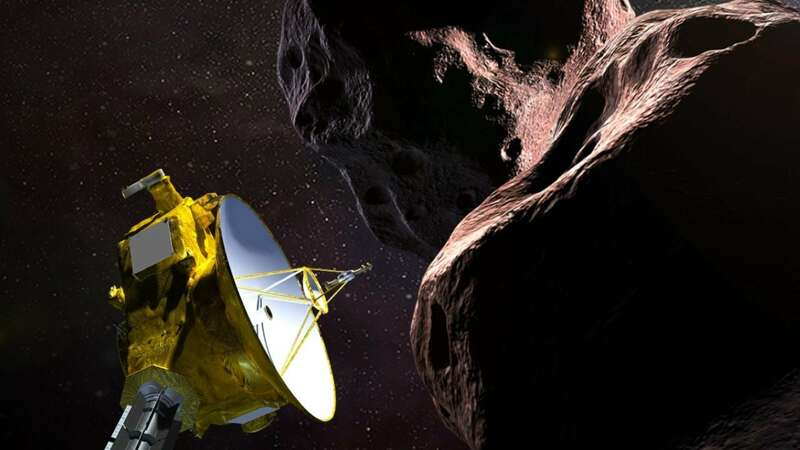 The spacecraft, now 5 million km beyond Ultima Thule, will ping back more detailed images and data in the coming weeks, NASA said. Since its launch in 2006, New Horizons has traveled 6.4 billion km to the solar system’s edge to study the dwarf planet Pluto, its five moons and hundreds of icy Kuiper Belt objects. While the mission marks the farthest inspection of an object in our solar system, NASA’s Voyager 1 and 2, a pair of deep-space probes launched in 1977, have reached greater distances on a mission to survey extrasolar bodies. Both these probes are still operational.